So no one told you srat life was gonna be this way. 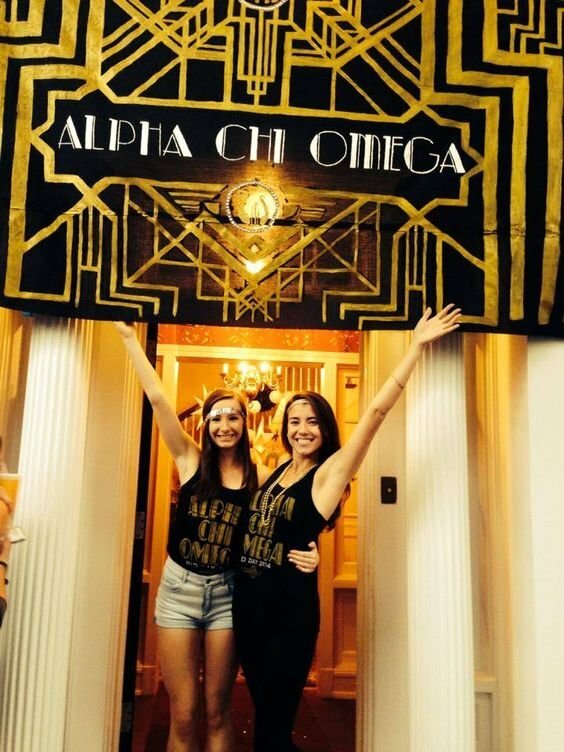 When I joined a sorority, there were plenty of things no one told me I would have to do. For example, I was never told how much I was going to have to sing. Anyone who knows me well knows that I have been asked to stop singing happy birthday at a party before, was given the baseline part in a choral performance of “All I Want For Christmas Is You” so I couldn’t be heard, and that I really just cannot sing, period. But because I love my sorority from the bottom of my heart, I will do just about anything for these girls and this organization. At times that means doing things I’m not particularly good at. 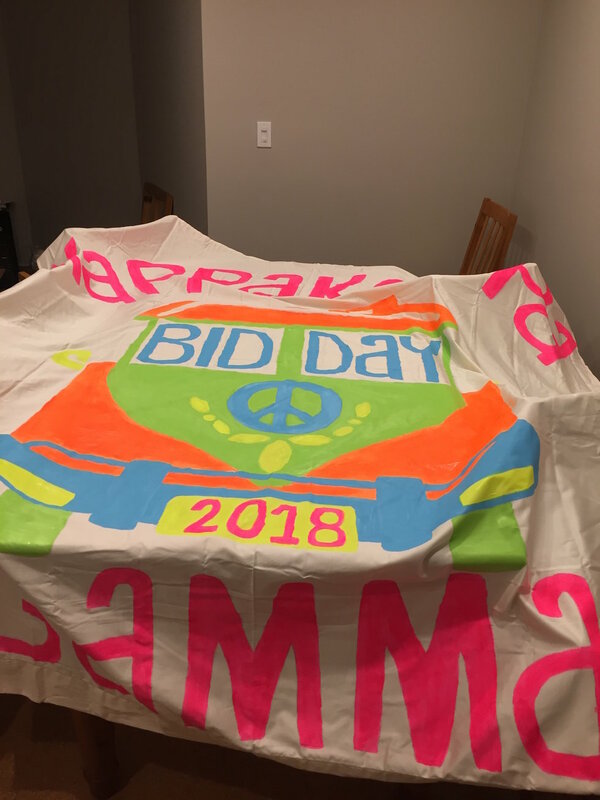 Now, as Emory’s EPC 2018 Recruitment has come to an end, I can finally share my experience with making this year's Bid Day Banner. 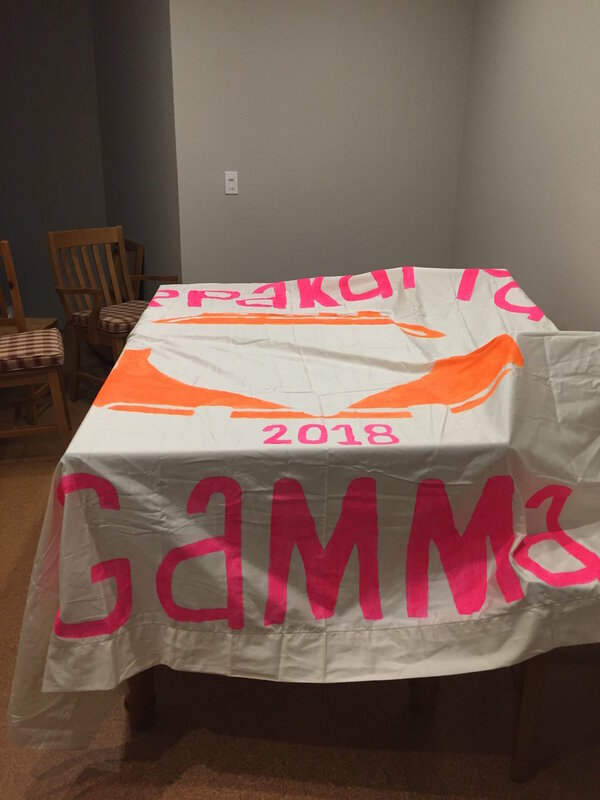 Although mine wasn't the banner we ultimately used, it was the process that was significant. After going through this experience, I am a changed woman, pushed to the brink of my talents: to put things simply, I have just as much creative ability as I do a chance at a singing career; both can be defined as the category below “slim to none” in the odds department. … So I’ve made a guide for those of us who lack a bit in the art department but still want to give our sisterhood our best. While this article helped me get started, two of Katie’s steps involved just stepping back and admiring your work. I don’t have time for that. This is a straightforward, step-by-step solution when you are tasked with the hardest challenge you as a srat star can face. Groveling and begging on one’s knees is not a good look for anyone, least of all a smart, confident, sophisticated young woman such as yourself. You are a boss, a queen, a Khaleesi. You tell your chairman, “Yes. I have got this.” If you say this enough times, there is a chance it will come true. No art is without inspiration, and other people’s successes are what you need to complete this mission. 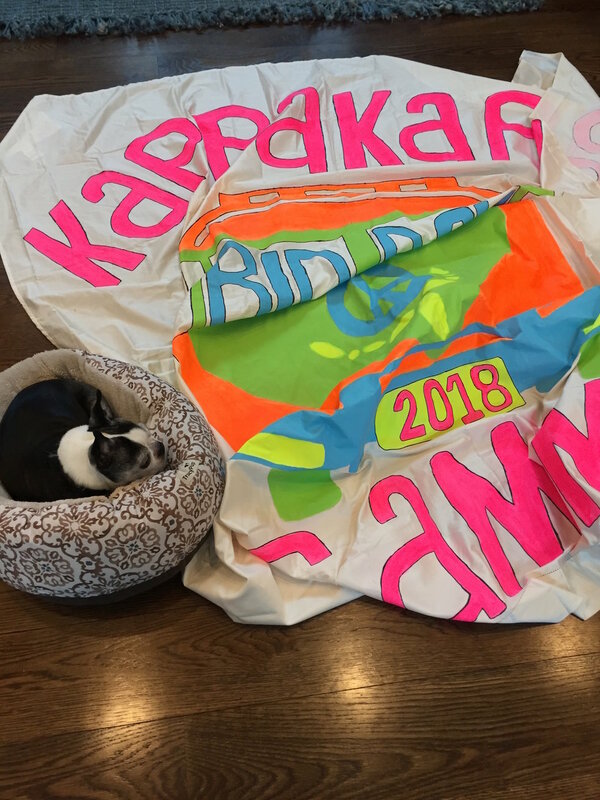 I’m talking full stocked private board the second you get your bid day theme. Believe me on this: even if you don't think there are any pictures of hippie 70s Woodstock themed bid days, there are. The more options you have, the more likely you are to find an image you could feasibly draw. This involves going to Michael's, Home Goods, Bed Bath and Beyond because Home Goods doesn't have the size sheet you're looking for, CVS for new Sharpies so you can trace your design cleanly, and going back to Bed Bath Beyond because you bought two sheets to be safe and only need one obviously (that comes after you measure your purchased sheet to make sure it is the proper size; see above). I had to vacuum my floor three times to get up all of the eraser shavings. 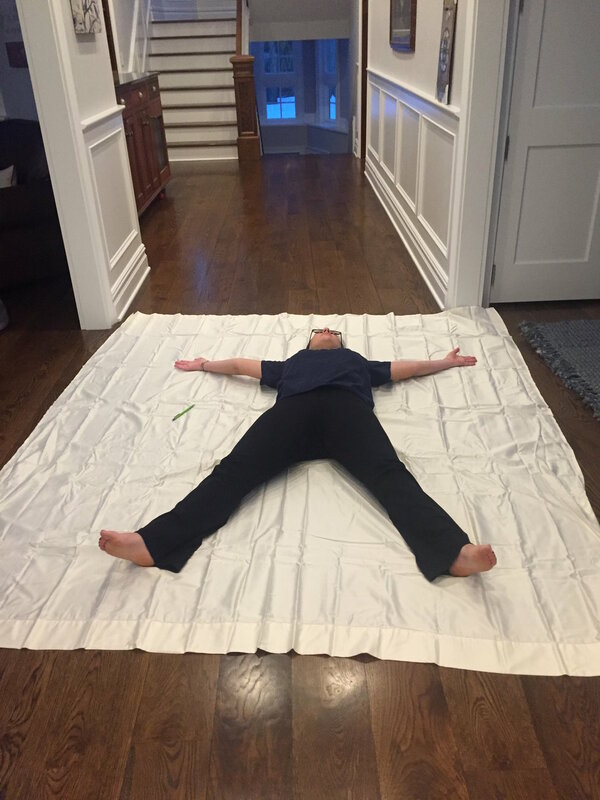 At this point with a canvas this size, it's a little hard to find stencils that work. 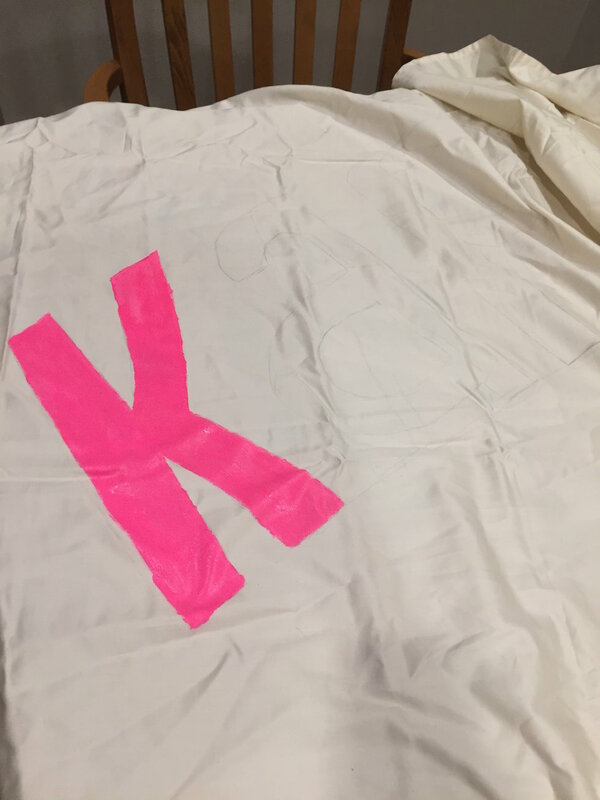 Unfortunately for everyone involved, I free-handed my banner which induced enough stress to take 30 years off my life. Once you've completed tracing and likely broken your back doing so, it's time to paint. This is when things go make or break for those of us who cannot paint. I recommend isolation in a room where the paint fumes will either get you high or drive you insane. Also running "The Office" in the background to keep you company. This is less about admiring your work as it is preserving your sanity. Just literally walk away. Go to bed. Don't look at the banner anymore. 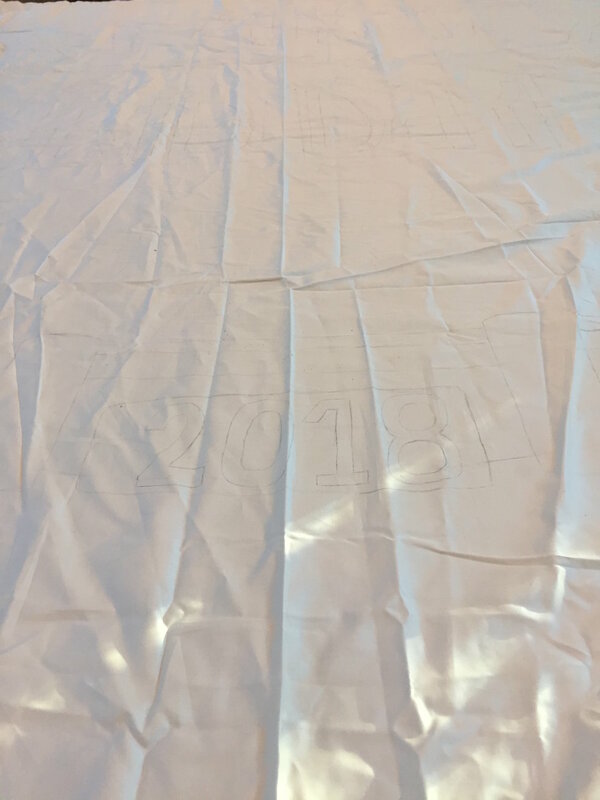 As good as your banner looks down beneath your feet, you have to remember it's going to be hanging up somewhere and people won't be able to see the precise definition of the lines you drew outside of. You can fool everyone by tracing the true designs with Sharpie and it will literally make everything look better (I promise). I sent this picture to literally everyone I knew. This banner is my baby, my sweet sweet child. I have not known a pain or devastation stronger than the day I was told we could no longer use it outside of our lodge. 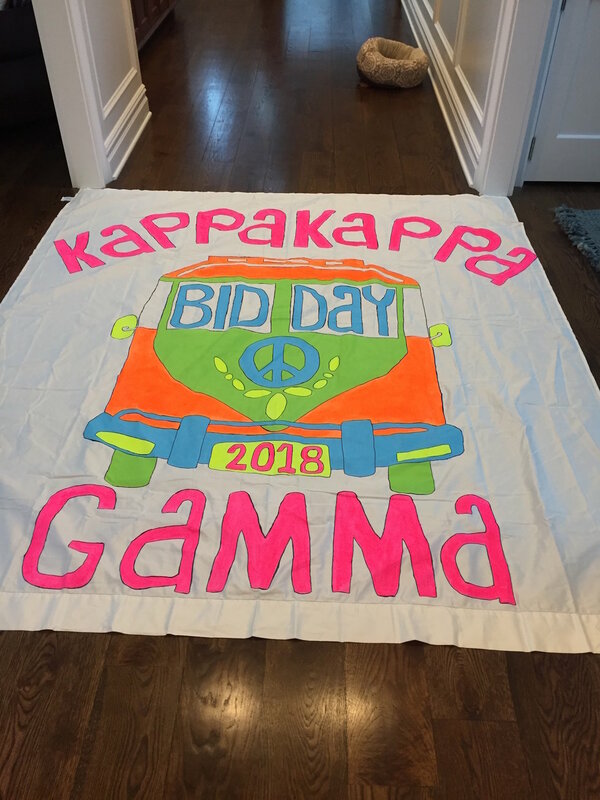 Never fear though: your banner doubles as a wonderful tapestry for your sorority house! All in all, pride yourself on doing this. You are a goddess, a true warrior. You are now officially a trained professional artist. Congrats!! !